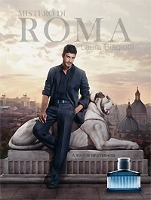 Laura Biagiotti will launch Mistero di Roma Uomo, a new fragrance that captures "the mysterious side of a seductive man", in March. Mistero di Roma Uomo features notes of grapefruit, mandarin, bergamot, musk, juniper berry, amber, patchouli, cedar and sandalwood. Biotherm will add a fourth fragrance to their series of perfumed body sprays (Eau d’Energie, Eau Vitaminee & Eau Pure). Eau de Paradis will launch in March. Eau de Paradis was developed by perfumer Bernard Ellena; the notes include lemon, raspberry, pomegranate, blueberry, rose, freesia, woods and musk. Agree — great name, shame’s it’s blue like every sport and/or aquatic scent. Didn’t like any of the other Biotherm scents. There is something in it, that disturbs me. They remind me a litte of the splashes of MJ. That’s fair — they’re really more body sprays than perfumes. I have just tried this along with their men’s scent. If you didn´t like the others, don´t even bother with this one.. it is very similar to eau vitaminee, only more “pink”. I like them but they are too feminine for me to pull off. Still eau vitaminee is nice, and eau pure is the most masculine of the bunch. And there is no pink pepper there? It must be the raspberry then. I bought a pack of whole pink pepper from a Greek gourmet shop on Saturday and as I was pouring the colorful beads into a glass jar I inhaled the aroma … and was blown away … AMAZING. If I could really identify that note in a fragrance, I’d buy it on the spot. But none of the fragrances I know boast pink pepper as an ingredient ever smelled like that . Agree, the real thing does smell better, and only vaguely like the note.